Very Good. 212 p. Lonely Planet Kids . No. Intended for a juvenile audience. 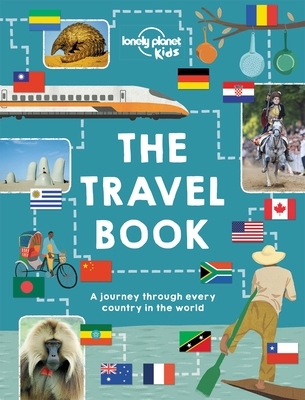 Take a world tour through 200 countries with this brand new edition of the bestselling kids? version of Lonely Planet? s popular The Travel Book, loaded with thousands of amazing facts on wildlife, how people live, sports, hideous and mouthwatering food, festivals and a wide range of other quirky insights on every page. New. Take a world tour through 200 countries with this brand new edition of the bestselling kids? version of Lonely Planet? s popular The Travel Book, loaded with thousands of amazing facts on wildlife, how people live, sports, hideous and mouthwatering food, festivals and a wide range of other quirky insights on every page. Num Pages: 212 pages. BIC Classification: 5AJ; YNM; YRW. Category: (J) Children / Juvenile. Dimension: 240 x 313 x 18. Weight in Grams: 1226. 2015. UK ed. Hardcover.....We ship daily from our Bookshop.